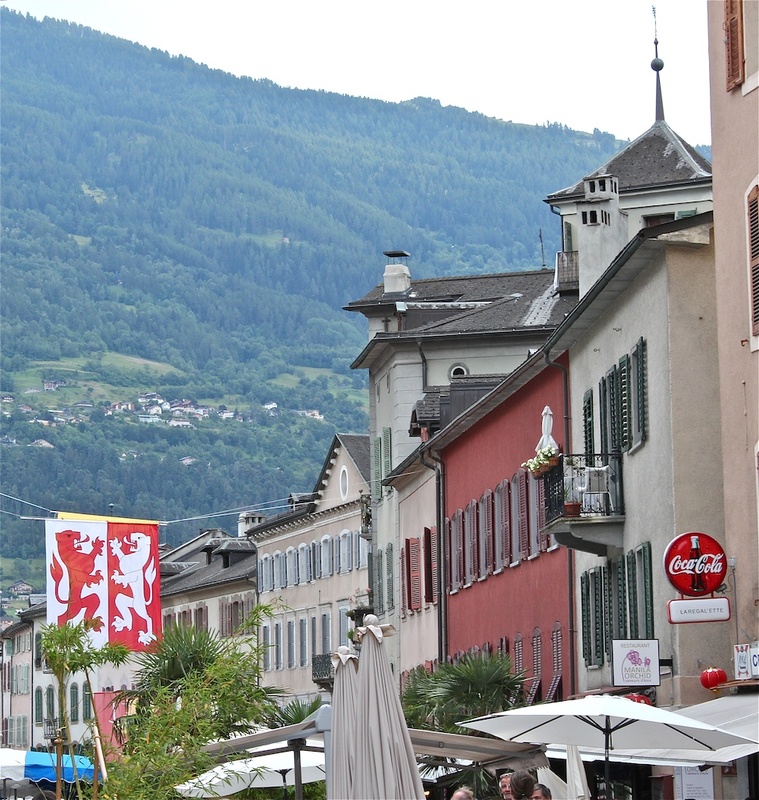 After spending the morning going through the market in Sion we realized as usual that we spent way more time than we planned. All of us became so hungry and the nearby restaurants had just stopped serving lunch. 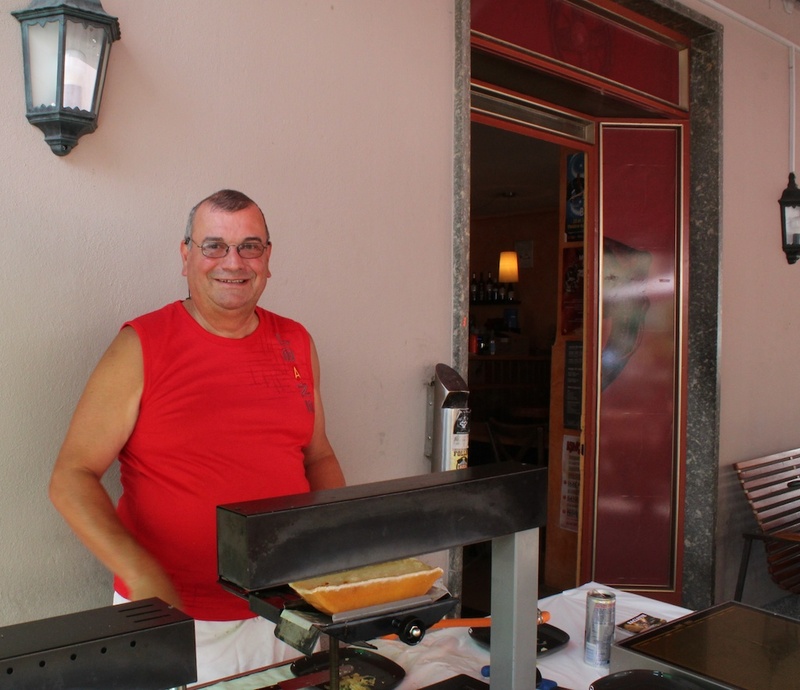 Fortunately at this time of day many of the restaurants had set up outside and were melting half wheels of this regional specialty Swiss Raclette! 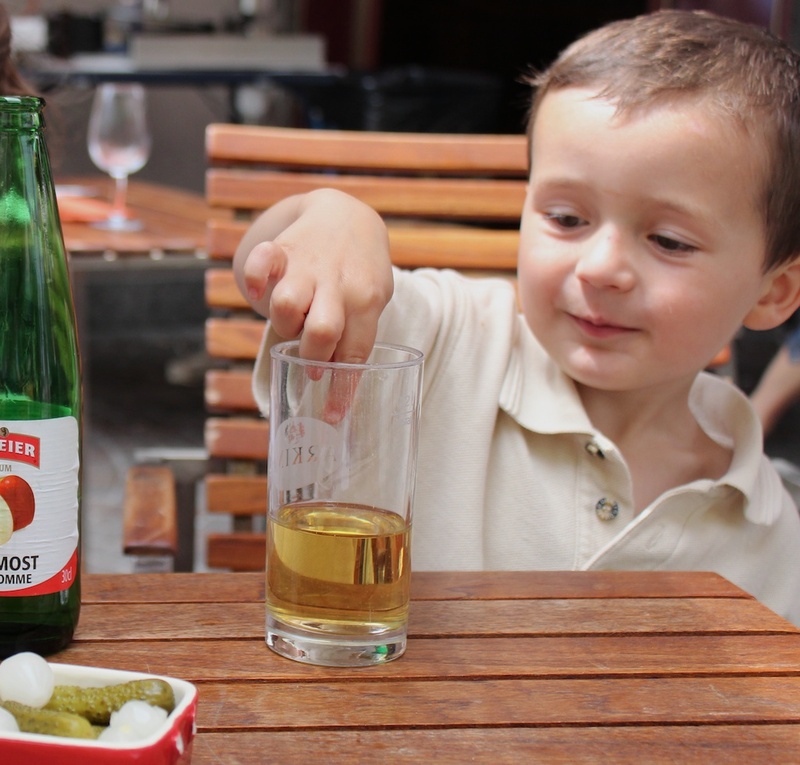 We chose to sit outside at Cafe du Nord Sarl, this is just up from last stalls of the market on Rue du Grand, and we had as many plates of warm melty raclette with a potato as we could, and a chilled glass of Fendant. 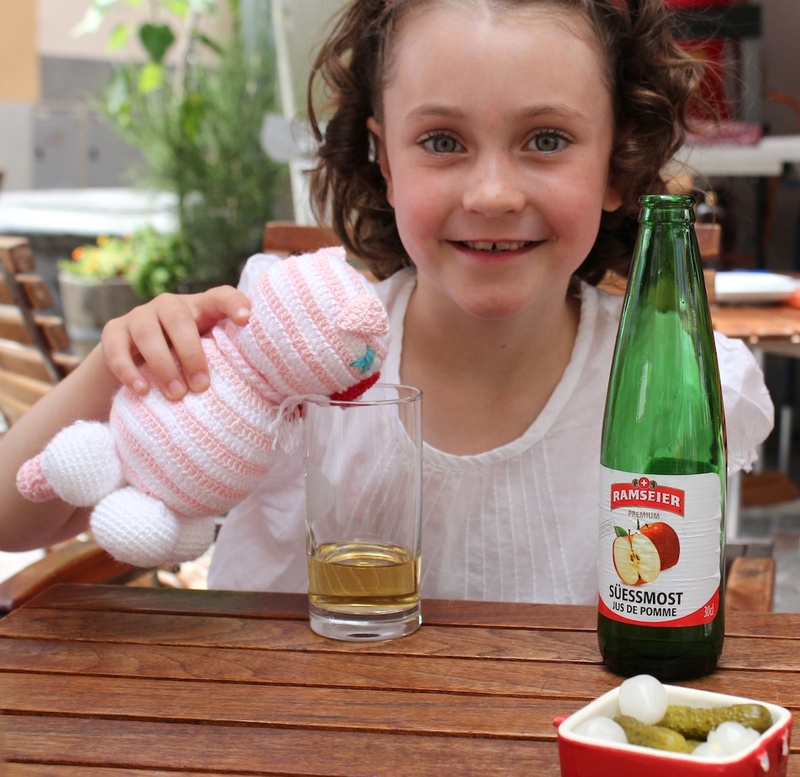 The kids enjoyed Swiss Apple Juice, we tried the local white, and Quin got to have lunch with her new little friend. 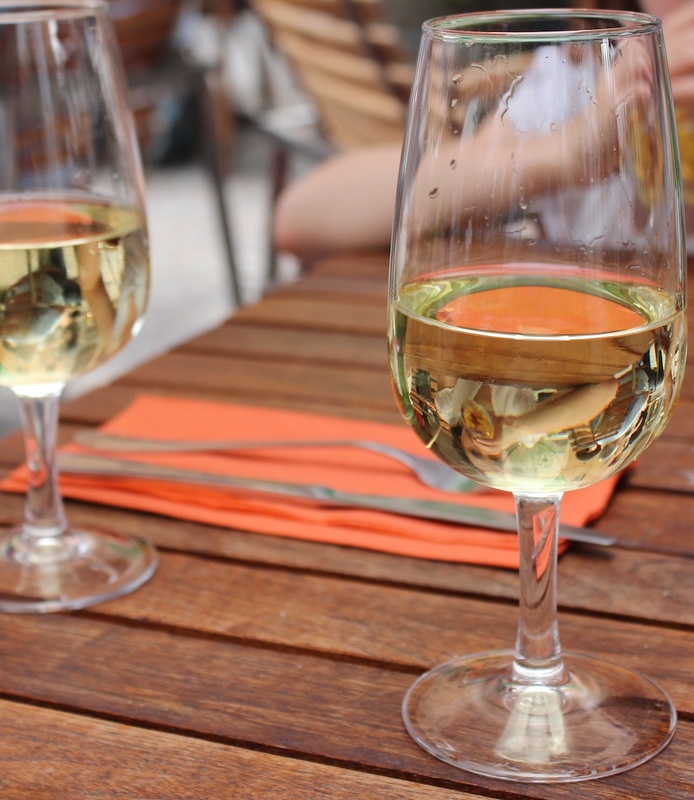 This was perfect for us, and an amazing way to enjoy the local flavors of this area at a great price before we walked up to the Tourbillon. 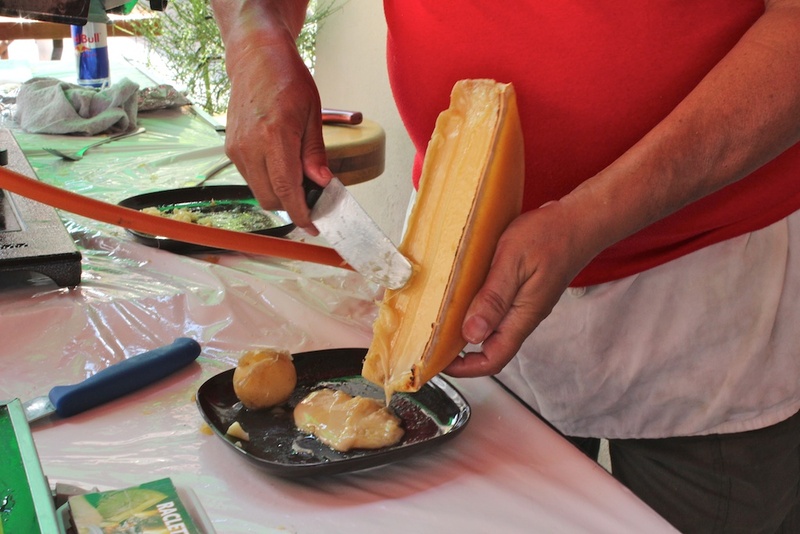 We were delighted that things worked out this way because we might have missed out on great cheese, a great memory, and a great day on vacation. 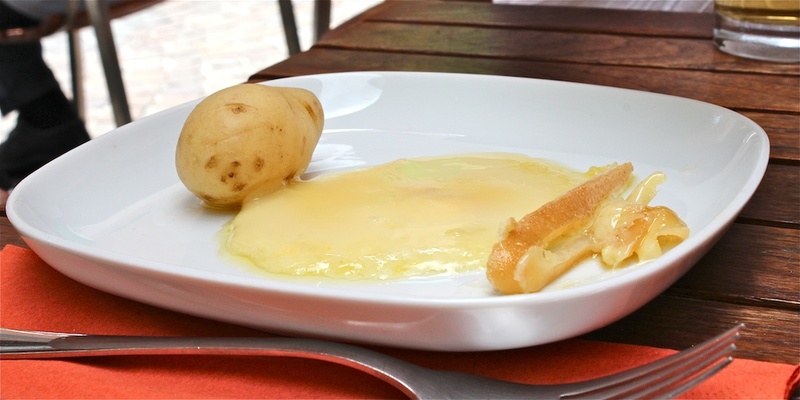 If you visit Sion make sure you taste the Raclette!